Wat is dit voor site? Wij zoeken de goedkoopste boeken op internet. 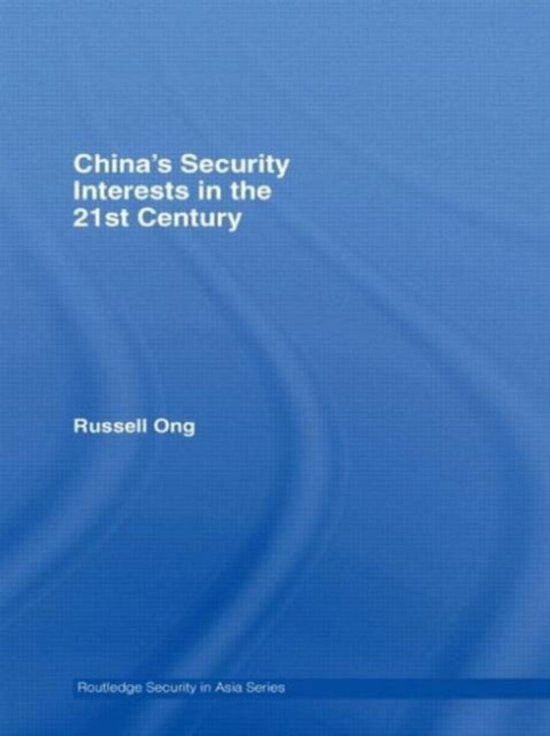 China's Security Interests in the 21st Centuryvonden we het goedkoopst op Bol.com voor €47.08. We hebben gezocht in nieuwe en tweedehands boeken. Rechtsonderaan de pagina kan je het boek direct bestellen	via Bol	.com. The collapse of communism in Europe, the quest for economic security and the War on Terror have all affected China's view of security matters. Ong provides a comprehensive study of the new policy and security challenges China faces in the coming years. Covering all of China's current security interests and concerns, this remarkable book includes chapters on Chinese concepts of security, the role of the United States, and regional tensions including the Korean peninsula, Japan, Taiwan, and China's quest for great power' status.